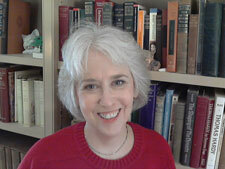 Lynn Sparrow Christy is an author, speaker and long-time student of the Edgar Cayce readings. She has spent many years as a staff member of the Association of Research and Enlightenment in varied roles as conference speaker, spokesperson, board member, author, and developer of ARE books, home study courses, DVDs and online mentored ecourses. Lynn maintains a hypnotherapy and life coaching practice and has also served as a licensed minister in the Christian Church (Disciples of Christ). Access Your Potential website offers Personal Coaching, Body Energy Work, Hypnosis, and Neurolinguistics services in the Virginia Beach, VA area. Amazon Synopsis: Is life just a school for soul growth? A place where we learn from our mistakes until we finally escape incar-nation? Or do we have a more exalted purpose? Drawing on Edgar Cayce's extraordinary vision of cosmic evolution and a stream of spiritual inquiry that places humankind in the context of a developing universe, author Lynn Sparrow Christy makes a thought-provoking case for incarnation as a unique opportunity to bring consciousness into matter and the affairs of the world. Bringing decades of experience and spiritual study together, she articulates the unique path of the co-creator one who serves as an intentional agent of evolution in the midst of the challenges we face, both personally and collectively. Book Jacket: Edgar Cayce, the most documented psychic in modern history, has been called by some a Christian mystic. The psychic readings of the great clairvoyant have led countless people to a deeper vision of their Christian faith and a renewed commitment to their churches. Can on be "born again" and still accept the information in the Cayce readings? Does the Bible condemn all psychic phenomena or is there a place for psychic experiences in the Christian's life? How does Edgar Cayce measure up against the Bible's standards for prophets? What do the Cayce readings really say about Jesus Christ? Is it possible to believe in reincarnation and still uphold Jesus as the way of salvation? What did Edgar Cayce say about the Bible? If you have a personal interest in integrating the Cayce readings with your own Christian faith; if a Christian friend or family member is concerned about your interest in Edgar Cayce; or, if you are a committed fundamental Christian who believes that Edgar Cayce is anti-Christian, you owe it to yourself to read Edgar Cayce and the Born Again Christian. Amazon Synopsis: Using her personal journey to both the Christian faith and the Edgar Cayce readings, the author offers a convincing, well-researched reconciliation of the Cayce material with Biblical text and the tenets of traditional Christianity. In this newly revised edition of Edgar Cayce and the Born Again Christian, Sparrow looks at the many places where the Cayce readings and the Bible agree, and at the stumbling blocks along the way for Christians trying to reconcile the two. 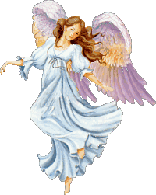 She particularly addresses questions about the use of psychic abilities and the concept of reincarnation. Sparrow's study helps answer the questions of the curious, the concerns of the doubters, and the desires of Christians around the world for a well-reasoned, enlightened, and definitive look at the Cayce readings within a biblical context. Synopsis: Why are we choosing to reincarnate over and over again? Are we just incarnating to get back to the place where we started? Back to being totally spirit? Being One with God? Or are there other reasons? With this book as your guide, you can discover your past lives and develop your ability to make positive choices for life, love and happiness. Amazon Synopsis: An Edgar Cayce Learn-at-Home Course with 3 audio (cassette) tapes and 26 worksheets included. Description: Comes in a three-ring binder with three audio (cassette) tapes and 28 page illustrated instructions. Hard to find. Description: 6-DVD set. Presentations from a Past Life ARE Conference on DVD.